Tough new Euro5 emissions limits are galvanising the world’s leading motorcycle engineers into action. Euro5 comes into effect in 2020 for new models and 2021 for existing models sold in the world’s biggest market. The challenge is to provide peak performance at high revs with an engine that is compliantly fuel-efficient and aims to be largely non-polluting in normal road use. A lot of the secrets lie in camshaft and valve technology. 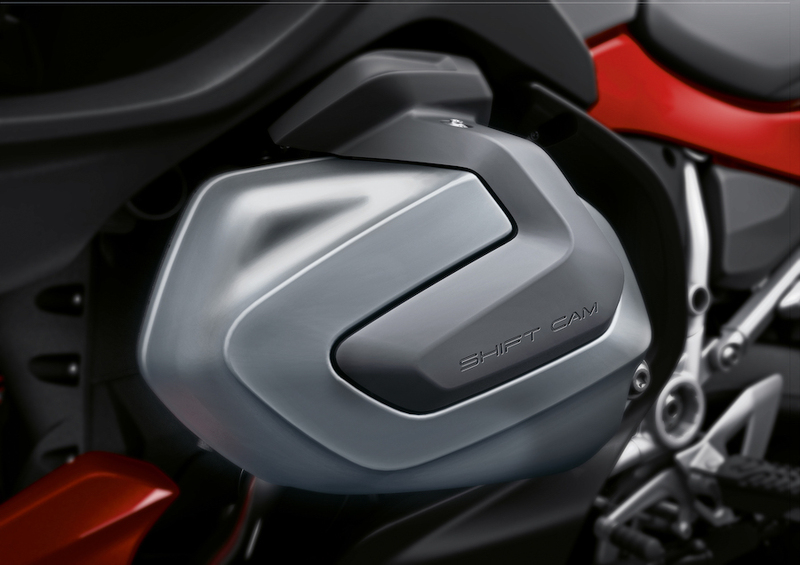 New patents filed by Honda and Suzuki show the way forward using variable valve timing, which our European news correspondent Ben Purvis explains is a Dr Jekyll and Mr Hyde process. But what’s so tough about Euro5? Apart from vastly decreased levels of noise and atmosphere pollution, Euro5 involves a test cycle that represents typical driving conditions, rather than static readings. As well, motorcycles must be able to meet Euro5 requirements over their lifetime. This will require a new generation of on-board diagnostics so a motorcycle can self-analyse and self-correct to maintain emission standards. Over the next few months we’ll keep you informed on other innovations under development that we will see in our showrooms sooner rather than later. 2019 BMW R 1250 RT.